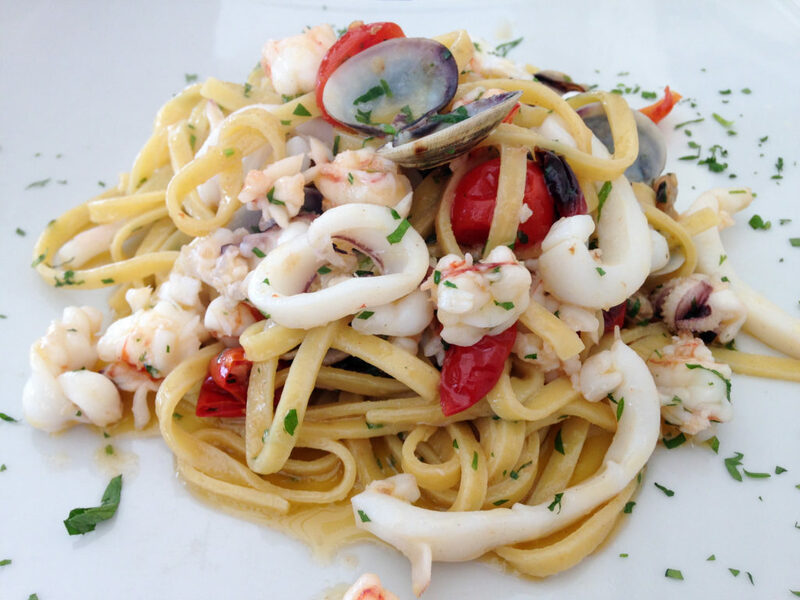 Seafood pasta at Osteria La Banchina in Trani, Italy. Photo by Gloria J. Chang. I can’t say I fell in love with this restaurant. And the person who recommended this restaurant to me was disappointed with my experience, or perhaps my lack of ebullient praise. (All of her other recommendations were met with enthusiasm from me after trying them out). I got the impression the staff was inundated with visitors and tourists, and really didn’t want to engage – I was trying to ask for more information about a local wine, other items on the menu – but rather be efficient. Not exactly welcoming. Perhaps they had an off-day? But the food was very good and it’s located along the water’s edge, so it’s a great place for lunch – and perhaps for dinner. I had the seafood pasta pictured above.